<!-Paul Cesar Helleu. 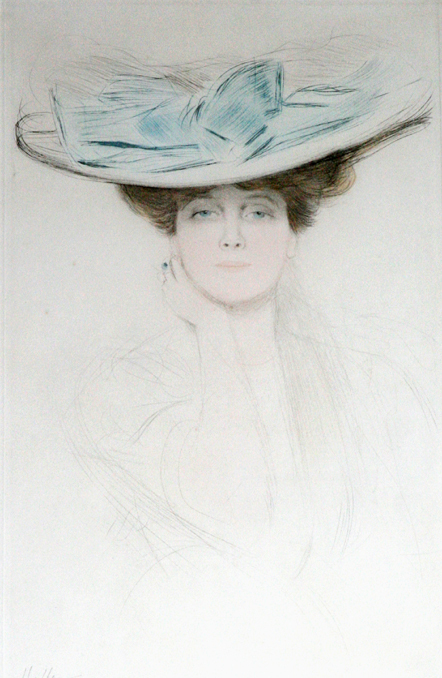 1859-1927 > Paul Cesar Helleu. Le Noed Bleu. The Blue Bow. Color drypoint. 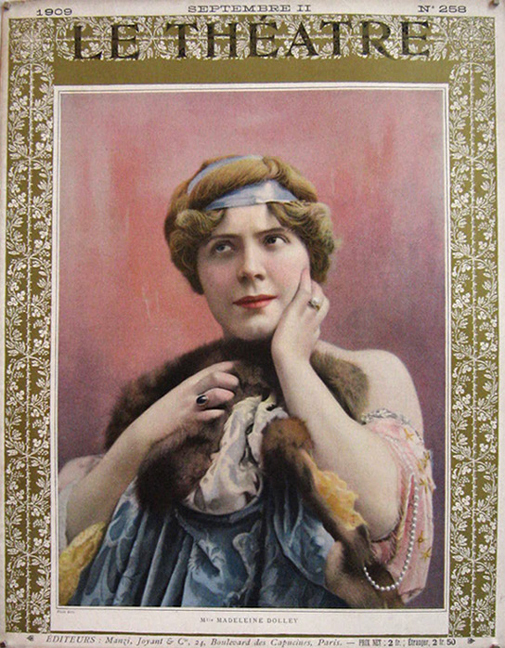 Le Noeud Bleu (The Hat with the Blue Bow). c. 1905. Drypoint printed in four colors (black, brown, blue, red). Montesquieu 40. 21 x 13 (sheet 21/1/4x 13 1/4). Edition 80, # 6. A fine impression with subtle colors. Signed in pencil. Housed in a classic 28 1/2 x 21 1/2 -inch gold leaf frame with an archival French mat. $4,000. 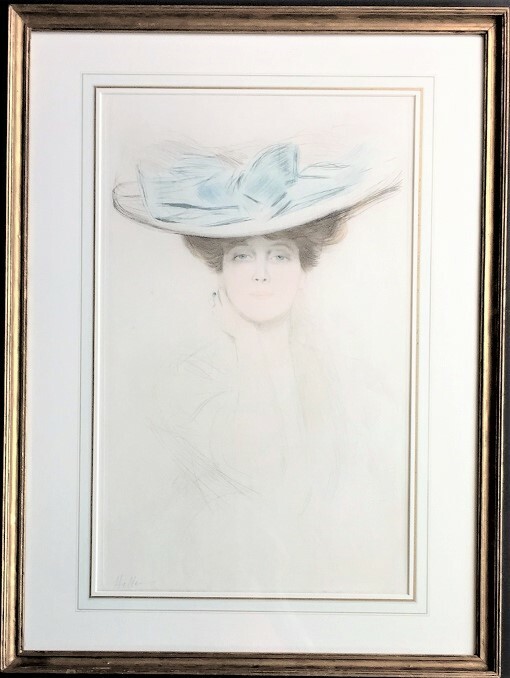 This portrait of Miss Madeleine Dolley, a famous beauty, comedienne, and dancer from the Folies-Bergėre, is one of Helleu's most delightful images.